Business was built for sale. parcel delivery business for sale. Current coverage: main project: 5 zones. 12 daily delivery areas. 15 drivers. 1 Walker. Sub project: 1 mini project. 1 driver. Overheads: zero. We work with contractors and freelancers to keep costs at a minimum. They earn on per piece basis. Staff needed: 1 team leader. Incharge of forwarding instructions, and stands as a back up. Also working as a contractor. Vehicles used: cost zero. all vehicles used are on rentals. Rental Costs borne by drivers. Warehouse: cost zero. we're doing the collection from our clients warehouse. Upon collection, drivers head out for delivery. 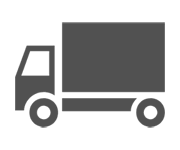 How do we earn: we take a certain percentage from drivers off their delivery rates. Potential for expansion: high. Current areas are expandable to have a wider coverage. Started with 3 drivers. A year later we're at 16 drivers. Expansion possibilities are huge. Do note: we wouldn't mind a partial sale of the business. For example (person A buys 30% of the business. Person B buys the remaining 70%). As long as both buyers wouldn't mind partnering up with each other. Or you may choose to purchase the full company at 100%. Purchase price is completely negotiable. All business can be handled via mobile phone through WhatsApp.